GREENVILLE -- Ernest Johnson, 81, of Greenville died Friday, Sept. 17, 2010, at Muhlenberg Community Hospital in Greenville. He was a farmer and member of Hazel Creek Missionary Baptist Church. Survivors include his wife of 54 years, Sally Kennison Johnson; two sons, James Johnson and Tommy Johnson; three daughters, Dorothy Mahan, Nancy Dennis and Anna Johnson; three brothers, Charles Johnson, Morris Johnson and Loe Johnson; and two sisters, Mary Masburn and Anna Blessitt. 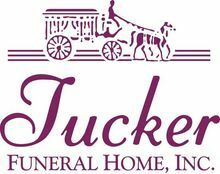 Services: 10 a.m. Monday at Tucker Beechmont Funeral Home. Burial: Hazel Creek Cemetery in Beechmont. Visitation: After 5:30 p.m. today at the funeral home. The beautiful and interactive Eternal Tribute tells Ernest's life story the way it deserves to be told in words, pictures and video. Anna, I'm so sorry to hear about your dad. Please know that my thoughts and prayers are with you.